RUSH: Tom in Phoenix, great to have you, sir. I’m glad you waited. He’s been on hold since Wednesday, folks. RUSH: Thanks much for the call. CALLER: I was willing to go ’til next Wednesday, Brother Rush. RUSH: Well, it’s great to have you here. I’m kidding. He wasn’t been holding on that long, folks, but at least through two meals. CALLER: You know, Rush, you have no idea what an honor this is. I’ve been listening to you for almost as long as you have been on the air, and now there’s almost no one else I will ever listen to, television or radio. RUSH: Wow. I appreciate that. CALLER: I’m just so honored. Rush, if I may, let me just give you a little bit of my background. I’m a retired history teacher. I’m an evangelical Christian. I retired from teaching history after about 30 years, and I would really like to hear you put on your prophet hat or prophet robe and tell us how you see the future, the next 30 years. I’m gonna give you specific things I’d like to hear you opine about. CALLER: (laughing) Yeah, well, ’til next Wednesday. RUSH: He’s a teacher. He’s just given me a doctoral thesis here and he wants it in a five-minute call! RUSH: Look, hang on here. I gotta take a break. RUSH: If you can hang on out there, Tom, we’ll be back here in just a second. Do not go away, folks. (pause) Wait, I had five seconds before… Okay, three, two, one… Do not go away, folks. RUSH: Okay. We rejoin Tom in Phoenix, and you want my take on the next 30 years the Republican and Democrat parties and conservative and liberal movements. RUSH: Yeah. That would be exceptionall difficult to do because I don’t think 30 years ahead. That’s something the climate change people do so that when 30 years comes, most people never remember what they said. It’s a way of making a prediction you’re never held accountable for — and I’m not trying to weasel out of it. I’m gonna tell you what I think the biggest challenge the country still faces. The Trump agenda is challenged by this. The country as we’ve known it is challenged by this. Holding on to the traditions and institutions that are so dear and crucial depends on this and a political party, the Democrats, are trying to make it happen. If we do not stop — and I mean arrest. If we do not stop the open-border immigration and chain migration that results from it, we simply are going to lose our culture. 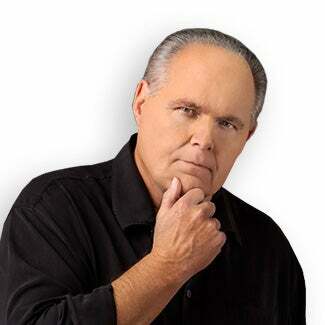 RUSH: Because the immigrants that are coming are not interested in assimilating, and the Democrat Party doesn’t want them to assimilate because the Democrat Party doesn’t accept the expression of America that you and I believe in and hold dear. RUSH: They want –to fundamentally transform the country. You know, Obama was the figurehead of the movement, but he was not the only one. You simply cannot allow the rest of the world — wherever it is, but particularly people who come from different cultures, different ways of life. You cannot continue open admission with no assimilation and have any hope of the United States of America remaining as founded. RUSH: That could happen long before 30 years pass by. This, to me, is the seminal issue. It’s why Donald Trump was elected. It was the element of his agenda that was the most sticky in terms of having people stick to Trump no matter what, because he was the only one promising to fix this, stop this, prevent this. So his supporters were willing to overlook personal deficiencies or what have you, because it’s that crucial, and it is not affecting the leadership of either party. All of these cultural changes, the overrunning of various aspects of the welfare state, you name it. The people in the five wealthiest counties in the country (which are all outside Washington) are not affected by this. They’re not affected by the crime. They’re not sure affected by the economic impact. They’re not affected by any of it. I’m not saying this as though Trump hasn’t done anything. I’m saying it’s something that can’t be forgotten, and if it isn’t arrested, there isn’t going to be a Republican Party that can win any elections, unless the Republican Party becomes Democrat Party Lite and comes up with better ideas for socialism than the Democrats have. CALLER: Rush, I assume you are currently encouraged by the direction we’re seeing? RUSH: Totally. 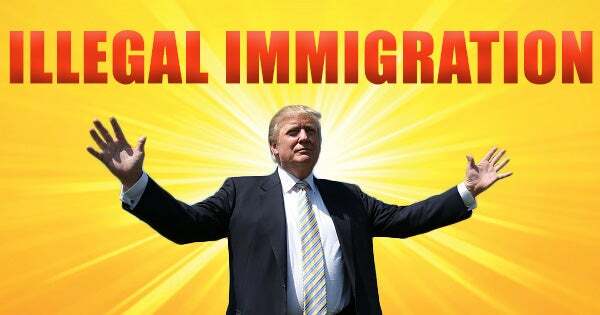 I’m encouraged by, A, the voluntary… Well, I call it “voluntary,” but without any brand-new immigration law, illegal immigrants attempting to get into the country is way down. Although… You don’t know what to believe anymore, but I did see a story yesterday saying that it’s back up to where it always was and you just don’t know what you can believe anymore. It would be in the interest of the Democrats and the media to report that. But Trump is so well known… Well, in fact, let me take that back. I was reading one of my tech blogs today and one of these tech bloggers is just beside himself because he thinks that Trump has turned ICE, the immigration agency, into a terrorist organization. That’s how he describes enforcing the borders, that Trump’s administration has become a terrorist organization against the underprivileged in the world. So I think Trump’s policies are still highly successful. But they’re gonna have to survive Trump. They’re gonna have to be implemented and enforceable and survive even Trump. Trump’s not gonna be president for life. CALLER: Well, maybe that’s why I said 30 years. I can shorten it down to 20 or 15, but what kind of Republican are we gonna see at the end of Trump’s administration? RUSH: Well, see, this is another thing. Winning is not only a cure for ills. It’s infectious. It spreads. But it’s not a guarantee. Look at the eight years of Reagan. By the way, I’m not trying to be pessimistic here, just realistic. Look at the eight years of Reagan. George H. W. Bush campaigned as the Reagan third term. It was that popular. George H. W. Bush did everything he could to convince voters that we’re just gonna get four more years of the previous eight. The economy was roaring. Taxes were down. We were on the way to defeating Soviet-sponsored communism, the evil of the world. It was magical! It was marvelous. Now, you would think the next series of Republican presidents would want to continue it. But they didn’t, because they weren’t conservative. At the end of the day they didn’t really like Reagan. But Reagan was a winner; they wanted to bask in the blow. So if Trump… Let’s take this magical, positive, best-case scenario, that everything Trump wants to do he does and succeeds at beyond our wildest dreams. Even that is no guarantee that the next Republican president will want to keep it up or keep it going. There’s no way of knowing. Each of these people are own unique individuals. Some want to put their own stamp on things, and some are gonna… Despite the wild success, there are still Never Trumper Republicans that hate every minute of it! What if one of them decides to run for president? That’s why it’s important for the American people, voters to realize it’s an ongoing, never-ending effort at winning and maintaining it after you win it. I believe the American people get what they want. That’s why elections matter to me. It’s why I spend so much time here actually trying to educate and inform people as voting participants in our society. But I think all this can happen or I wouldn’t be here. You know I would have cashed it in and asked Trump if he wants to play golf every Saturday. But I think it can happen. I think we’re on the road. I think there’s something happening now. It’s not easy to see — and if you don’t want to see it, you won’t. I mean, if you want to see the negative, if you want to be obsessed with pessimism, there’s plenty out there to confirm it for you, but I don’t. I mean, there’s… (chuckles) We’re never gonna be at ease with the media and the left out there. We’re always gonna be on our guard and they’re always gonna be attacking and we’re always gonna be on defense of certain amount of the time. But they can be beaten. We’re seeing it. We’re living it. We’ve seen it; we’ve lived it many times before. Reagan won with nowhere near the kind of supportive media that Trump has. It can happen. I appreciate the call, Tom, very much.